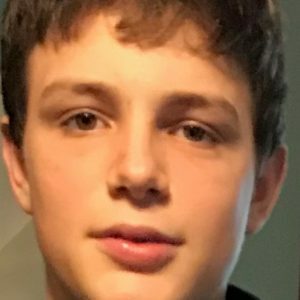 Ryan Leo Tullius, 15, of Zanesville passed away Monday, April 15, 2019 at Nationwide Children’s Hospital in Columbus, OH from injuries sustained in a car wreck. The son of Russell Tullius Jr. and Kathy Kain Tullius he was born on Saturday, July 26, 2003 in Zanesville, Ohio. Ryan lived his life to the fullest. He was a freshman at Zanesville High school. He loved to ride his bike, go swimming, make goat noises, do back flips, sandbar Sundays on the Muskingum River, and hang out with his friends. He always could bring a smile to someone’s face and was known as finesse kid to his friends. He is survived by , his parents Rusty and Kathy Tullius; siblings Ashley (Anthony) Joseph, Travis (Sara Trusler)Kain, Max Lonas, Elke Lonas, and Jake Lonas; Honorary brother Landon Joe Gadd; maternal grandparents Jim and Linda Kain; paternal grandparents Russell and Nancy Tullius; nieces and nephews Addison Kain-Peadon, Slade Snode Armstrong, James Kain, Wyatt Kain, Steven Trusler, and Nathan Trusler; Aunt Patricia Tullius and Cousins Kristin (Ryan) Nisbett and Austin Angler; Uncle and Aunt Eddie (Aimee) Kain cousins Adam and Corina Kain; Aunt and Uncle Kristy (Steve Miller) Ossa, cousins Andrew (Tasha) McPeck and family, Allison McPeck and Family and Austin Ossa. Ryan is also survived by extended family and many friends that he considered to be family. Ryan was preceded in death by a niece, Anna Kain. Ryan’s final act of kindness was to give the gift of life through organ donation. Friends may call 4:00 to 7:00 P.M. on Thursday, April 18, 2019 at the Bryan and Hardwick Funeral Home. Funeral service will be held at 1:00 P.M. on Friday, April 19, 2019 at the Bryan and Hardwick Funeral Home with Pastor Bill Blair officiating. Burial will conclude at the Duncan Falls Cemetery, Duncan Falls, OH. Memorial contributions can be made to GoFundMe for Ryan Tullius Benefit (Finesse Kid). The Bryan & Hardwick Funeral Home, 2318 Maple Ave. Zanesville is in charge of the arrangements. To share memories and condolences with Ryan’s family please visit www.BryanHardwickFH.com.